There are many types of storage spaces that can help you by displaying and storing your coins. You can either use folders, holders, plastic tubes, or the album, but among these reliable storage spaces, the coin collecting albums are the best way to display the coins. With coin collecting albums, you can get more satisfaction viewing your collections because albums let you see both sides of your coins. You do not have to remove your coins every time you want to see the opposite side. Therefore, albums give you the best of both worlds. Another benefit of albums over folders and other coin storage is that it gives the coins better defense against harmful elements that will expedite the deterioration of the coins. Albums are generally characterized by the use of plastic materials that serve as shield against scratches and environmental factors. Albums provide pockets for coin storage. The best thing about using a pocket is that even “dilapidated” coins or extremely worn coins are better protected. Worn out coins, when placed in folders, have the infuriating tendency of falling out over and over again. With coin collecting albums they are kept intact. Albums that are used in coin collecting are usually priced from $20 to $40. Even though they can be expensive, they provide better storage for your most-prized treasures. Paying the price for an album is a great alternative to the other typical types of storage. Coin collecting is easier and more pleasant with the help of these albums. It makes your treasures last longer, thus, establishing greater value in them. 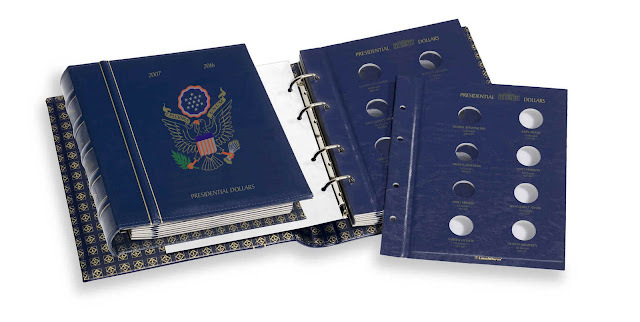 Therefore, coin collecting albums are definitely the best “keepers” for your coins.